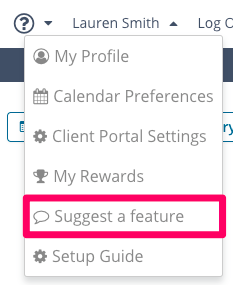 We created a way in TheraNest for you to give feedback or request features to our product team! In TheraNest we created a way for our customers to tell us what they would like to see! 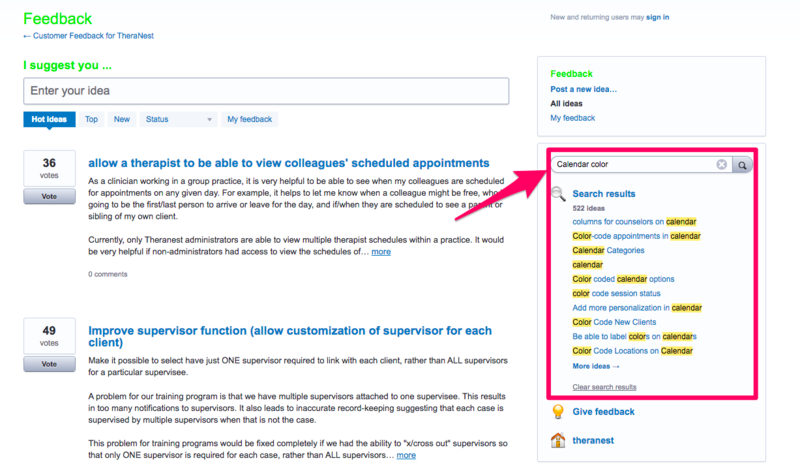 Every TheraNest user from Front Desk to CEO has the ability to give feedback directly to the development team. Click on your name in the TheraNest header and choose Suggest a Feature. 2. A small window will pop up for you to see our trending ideas or to add your own! 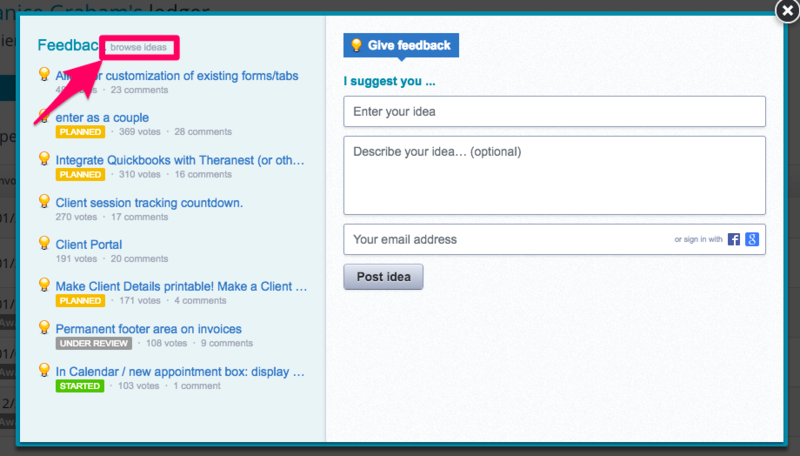 We suggest you browse for ideas first to see if someone else already suggested your idea or gave feedback. Click Browse for Ideas. 3. A new tab will open and you can search for the idea on the right handside. 4. Click on the similar idea to vote or enter your idea if you don't see it. The more votes an idea gets the more it moves up in priority with our product team. We want to implement changes that will benefit the most TheraNest users possible! Our development team runs a report once a week to see what's trending and make plans based off of what is consistently trending for our customers. Thank you for providing us with your ideas and feedback!